Angie Peace lives and works in North Bend, Washington. As a very young child growing up in the Puget Sound area, she dismayed her mother by bringing frogs and salamanders into her dollhouse from the large pond outside. Angie earned a Bachelor’s degree in Wildlife Science from the University of Washington and a Master’s degree from the University of Colorado at Boulder. She worked as a biologist for almost 20 years, including work as an environmental consultant and as a Fish and Wildlife Habitat Biologist for the Washington State Department of Fish and Wildlife. Her passion for art and science led her to earn a Natural Science Illustration Certificate from the University of Washington in 2017. 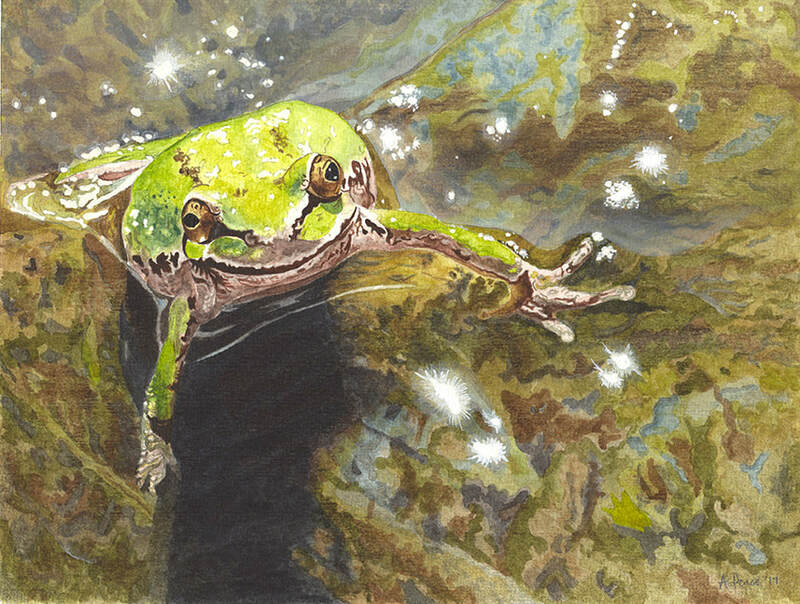 While she harbors a deep love of all natural things, Angie most enjoys rendering the diverse wildlife and plant species native to the Pacific Northwest in watercolor, colored pencil, gouache, pen and ink, and graphite. Her hope is that through the creation of art and illustrations, Angie can inspire, promote, and support environmental research and conservation.